Before you throw in the towel consider some at-home treatment! 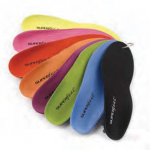 These tools are designed to help you prevent injury and relieve the aches and pains developed from running and walking. Be sure to visit us for an individualized shoe fitting to ensure you are wearing the proper footwear. The health of your feet has a dramatic impact on the health of your body. Many people don't realize that instability in the foot can lead to the painful skeletal alignment issues. Superfeet help relieve the pain and discomfort caused by an unsupported foot during everyday activities, sports and work. Tightness is the calf is a huge contributing factor to shin splints, plantar fasciitis, and Achilles tendonitis. Proper stretching of the calf is enhanced with the use of the Step Stretch. This apparatus will assist runners and walkers in stretching both major calf muscles as well as the small stabilizing muscles used to assist in maintaining balance. 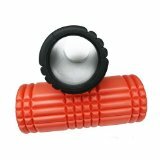 The Grid Roller was developed to assist individuals in self-myofascial release which is a method of breaking up knots in our muscles to relieve the feeling of tightness. You will feel like you are giving yourself a deep tissue massage. Great for use on all leg muscles as well as your back, this can also serve as a tool for an awesome core workout. Ready to take your at-home-injury treatment to the next level? Trigger Point Therapy has developed a variety of kits designed for deep muscle massage. Most injuries in our body begin from tightness and adhesions in our muscles. Stretching these knots does not solve the problem. (Imagine stretching a rope with a knot in it). Breaking up these adhesions and knots is necessary to create long term and lasting relief. The guided DVDs included in this package will ensure that you are utilizing this kit in a safe effective manner. Plantar fasciitis and Achilles tendonitis place great strain on the bottom of the foot. The fascia, or thin sheath covering the muscle of the foot, develops adhesions and scar tissue. Elimination of this scar tissue allows an individual to begin returning to activity. 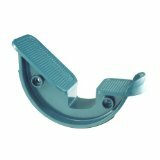 The Foot Wheel is an easy tool to utilize at home or under your desk at work. Experiencing back pain or tightness in your hamstrings? The Core Stretch is an amazing tool to take your flexibility to the next level. Utilized from a seated position the Core Stretch will work everything from your shoulders through your back, hamstrings, and glutes. Start using the Core Stretch and your body will crave the daily opportunity to elongate your spine and release tension. Does that first step in the morning or after getting up from your easy chair feel like someone stuck a knife in your heel? If this is a description of you, you're not alone. Millions of people each year are faced with this type of pain. While there may be other causes, the most common is Plantar Fasciitis. 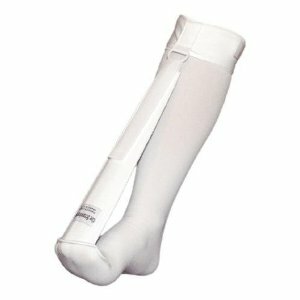 The Strassburg Sock is easy to use, inexpensive and comfortable device is designed to keep tension on the plantar fascia so it heals in a stretched position at night. ﻿R.I.C.E- Rest Ice Compression Elevation. These are the words most often heard by runners looking to recover from or prevent an injury. Rest and elevation are up to you. While compression and bulky icing solutions exist individually, runner's remedy line of cold compression therapy products are uniquely designed by medical professionals to help alleviate the most common running related injuries. By combining the benefits of compression and low-profile, icing therapy.